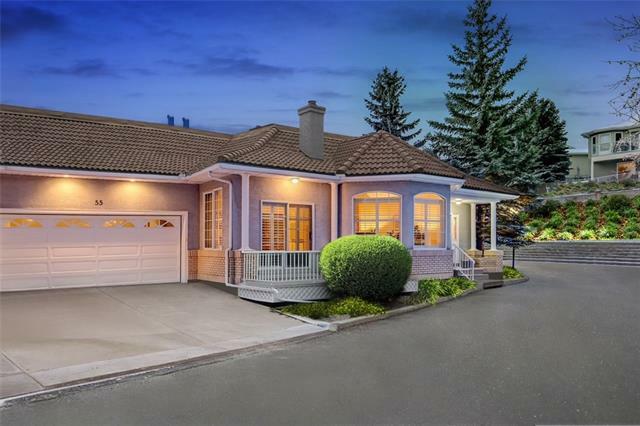 Rarely does a VILLA in the coveted community of Christie Park Estates become available - especially in a quiet location within a quaint development! 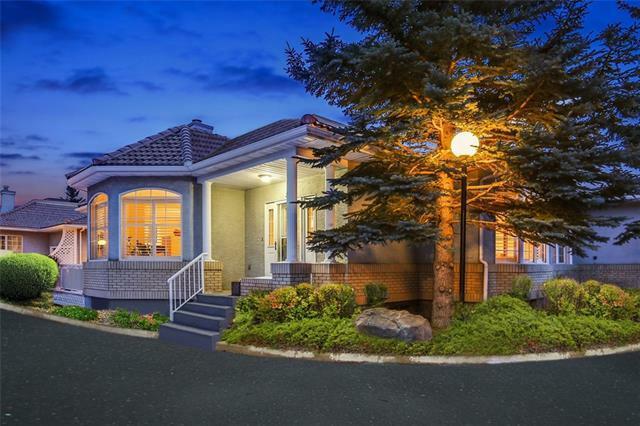 This BUNGALOW offers 1500+ sqft of well designed living space. Vaulted cathedral ceilings, open floorplan, skylights, patio & an abdundance of windows ensures the home is flooded with natural light. Oversized principal rooms & open spaces is ideal for entertaining. Large welcoming living room with a 3 sided fireplace opens onto a formal dining area for special occasions with family & friends. Great flex area for reading or music set up. 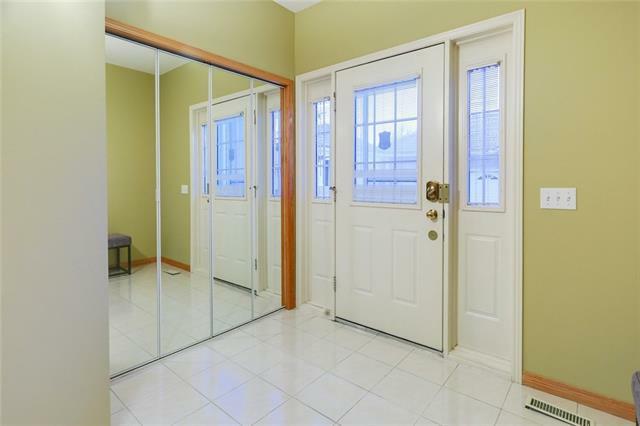 Beautiful solid hardwood throughout! Kitchen has a center island, lots of cabinets & counter space, builtin appliances & eating area. 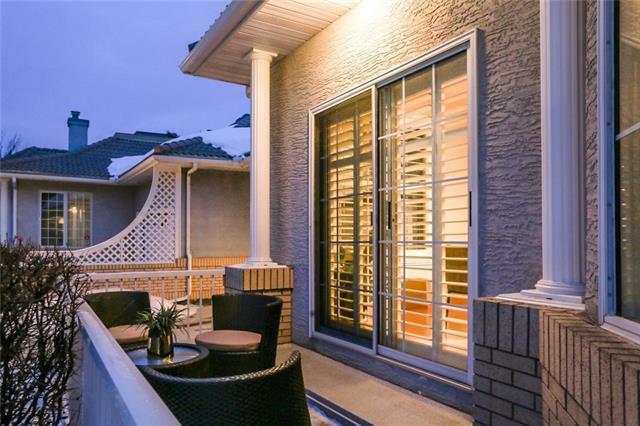 Large master retreat, walkin closet & private ensuite. 2 bed, 2 bath, end unit, main floor laundry & an oversized double attached garage. Massive upspoiled basement. All this with the RAVINE just steps outstide your door. Well mangaged complex. Amenites, parks & LRT just a 2 minute walk away!